Police are investigating the high-value theft of catalytic converters from a car dealership in Angus. Nine of the converters were stolen from the prominent AM Phillips dealership near Forfar, The Courier has reported. In total the car parts, which were taken at some point between Sunday (17 August) and Tuesday (19 August), are thought to have cost the business around £17,000. Having a combined motor trade insurance policy in place could cover the losses incurred by theft of this nature. By ensuring it has protection in place for parts stored on site, particularly the high-value ones, a dealership can prevent being hit with huge costs for replacing stolen goods. 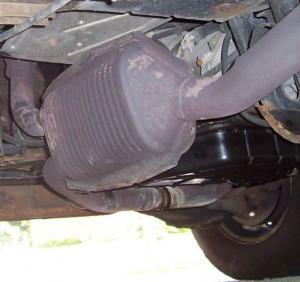 Catalytic converters have become an increasingly popular target for thieves in recent years, with thefts of this nature more than doubling in the past four years. Indeed, between 2010 and 2013 almost 25,000 thefts of catalytic converters were reported to police forces across the UK. The parts are high sought after because they contain precious metals such as platinum and palladium, which can be removed and sold separately.